You must have noticed that the couples these days wish to have more than just a traditional Indian wedding. Wedding planners can help make that happen and even more. India is now home to many talented wedding planners and if you are looking for wedding planner in Noida then we are here for your help. 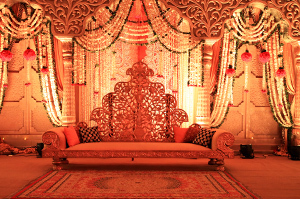 The idea of hiring wedding planners has been gaining momentum with time and it is well deserved too. Wedding planners are professionals who help people plan their weddings and have the celebration they can remember for life. Our professionals are becoming more active as their demand is increasing by the day. If you search extensively then you will find that there are many reasons that support the decision of hiring wedding planners. The first one being the fact that we help in saving time and efforts of the families involved in the wedding. Planning a wedding is definitely not a day’s job and takes a lot of time and effort. A single person or even a group with no prior experience of planning a wedding can face a lot of confusion and frustration at times. 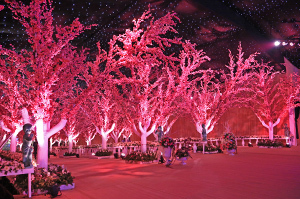 In such situations a wedding planner can be of great help. Wedding planners can help save time, do all the planning, and execution of things on the big day. Another major reason for choosing wedding planners is that they have good contacts with important people such as venues, designers and caterers. A wedding is incomplete without all these things and these professionals can also help you get good discounts on them which is again a big plus point to consider. Some people regard wedding planners as extra expense but this expense is totally worth the money. Some people wish to have destination weddings and these planners can arrange that too in a very creative manner. Honeymoon is very important and follows right behind the wedding. If you are confused about the destination or have any other doubts then you can ask your wedding planner. Wedding planners work as blessing in disguise when it comes to planning a wedding. You can easily locate them via the internet as most of them have updated websites for the convenience of the prospective clients. Wedding planners give a unique yet very grand look to the wedding and they stay in the budget obviously.